Here are results to a "Survey of Vegans" that I conducted over a 2.5 month period on-line, mostly Facebook. Depending on the question, about 7,000 - 8,000 random vegans responded. The survey was posted in all groups who identify with being vegan, so was unbiased in that way. One thing making the survey biased is that those who are not on social media - would not be included in these results. Those who responded were random, anonymous, and from all over the world. I noticed one comment where the person was vegetarian. We don't know how many responded that were not actually vegan. And over 30% said they were newly converted vegans, so that would explain some stats I found disheartening. We know that 30% of those who responded said they didn't become vegan because of the animals. That was shocking since non-participation in animal exploitation is the essence of veganism. They must eat a plant-powered diet and call themselves vegan, even though vegan living extends beyond diet; it's a way of life, and IS totally about not exploiting animals. People wanted me to put the "other" option as one of the choices, and when we did that, Survey Monkey automatically adds "leave a comment". Many of those who left a comment could have clicked one of the provided options. This did hurt the outcome of the survey. However, you can click a link to view those comments. Q: Which best describes your vegan epiphany? ~ 7,558 answered, 505 skipped the question, and 711 clicked “other” and left a comment. Comments - (882) - chose the "other" option with an explanation, to be analyzed at a future date. We will try to get the comments analyzed - at a future date. This is a very interesting study, providing good information and asking a number of good questions. Some of the questions should have been phrased differently or offered different answers, but for an individual's effort, I think it's great. Thank you for doing this research! If you do it again, could you ask if visiting a sanctuary was a reason to go vegan? We would be very interested in that. Thank you for this! 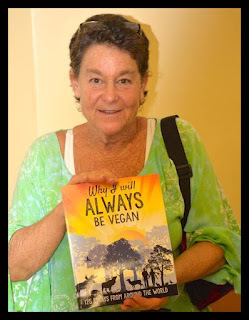 I would very much have liked to see questions of socio-economic status and race asked, and how those factors shape people's perspectives about veganism or about plant-based foods in general. Next time perhaps? I agree with also, in a future iteration, verifying socio-economic status and race questions. I took your survey and was overwhelmed by the moralistic bias in choices. 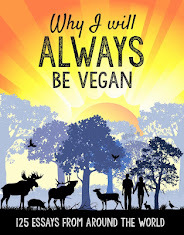 I've been vegan for over ten years and living as a disabled vegan with severe dietary and lifestyle restrictions felt many answers were dismissive of those of us who understand that veganism is not the only truly ethical choice on earth. Very interesting answers. Some of them don't surprise me. Others I find intriguing. Thank you for all the work. Thank you thank you for the effort! It's great to read all this... more studies and stats please, world! i crossed this article tryng to find worldwide vegan stats, just to shut some mouths, if you know what i mean. I wanted to make a little critical comment: why male or female? why don't you add a "others" category for intersexuals, transexuals or transgender people? Pina Guy - yes I was made aware of that "male" and "female" gender issue from this by others - and it won't happen again in the future.